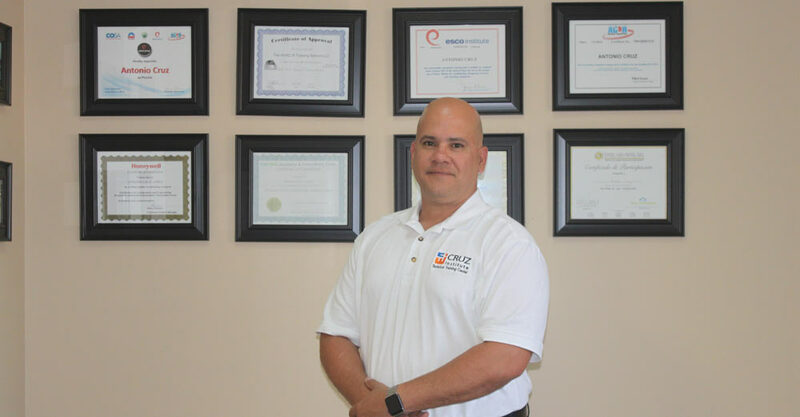 Cruz Institute was founded by Antonio Cruz, an experienced Air Conditioning and Refrigeration professional who has a passion to help others achieve their dreams, especially the Hispanic community. Mr. Cruz recognizes the value of education in obtaining a good job and moving up the economic ladder. Latin Americans often have to overcome many challenges to make the “American Dream” a reality for them. The biggest challenge is the language barrier. This is why Antonio Cruz, its founder, decided to create this technical training center, to provide a friendly atmosphere, with Spanish speaking staff, where students are taught in their mother language technical careers to have a better professional future. Our mission is to provide students with Industry concepts and skills that will lead them to success in their careers. Using technology and current industry practices our dedicated faculty and staff will create a conducive learning environment focused on quality and teaching. Be a center of technical studies, leader in the Hispanic community to offer programs in spanish, that graduate students with knowledge, vision, professionalism and competitive skills that maximize profitability and results for their employers.